The Church of England has threatened to bring a case against an ad company under the Equality Act – despite recently using its own exemption from the law to legally discriminate against gay clergy. Earlier this year, gay hospital chaplain Jeremy Pemberton filed an Equality Act claim against the Church, after he was sacked for getting married in defiance of bishops. Last month his case was dismissed by a tribunal, after the Church argued it was protected by religious exemptions in the 2010 Equality Act. But just weeks after successfully arguing that it is exempt from the law, the Church has now threatened to bring its own case under the Equality Act in a row over cinema advertising. Digital Cinema Media, which provides ads to all UK major cinema chains, came under fire for blocking proposals for the Church to screen a Lord’s Prayer advert – under a long-standing policy of “not accepting political or religious advertising”. Reacting to the company’s decision, the Church’s chief legal adviser Stephen Slack claimed the move could “give rise to the possibility of legal proceedings” under the Equality Act. 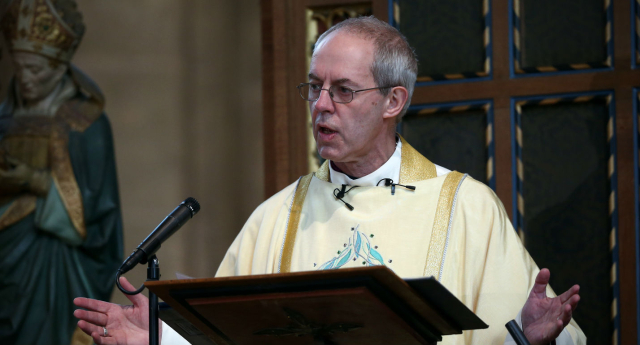 The CofE says that the law bans businesses from discriminating on religious grounds – but some activists have expressed amazement at the Church’s willingness to claim protections from a law it also says it is exempt from.